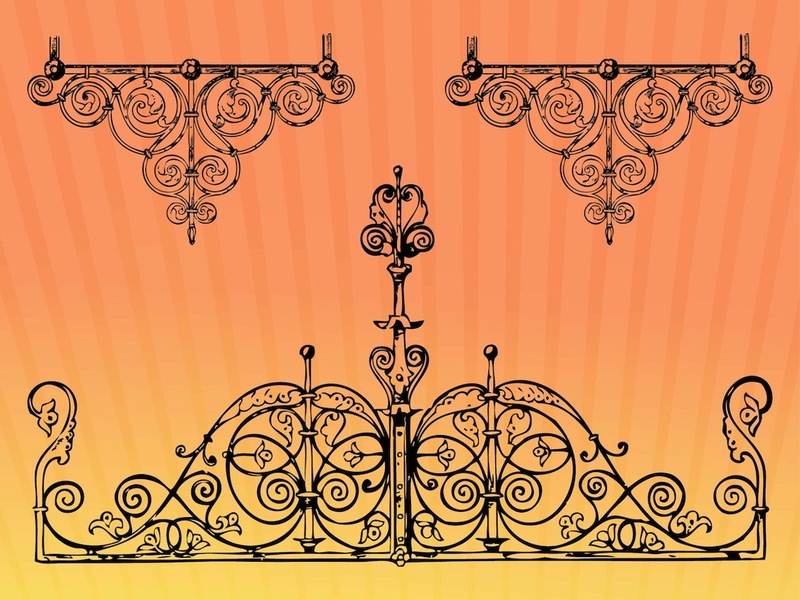 Vector footage of vintage decorative frames and metal ornaments. Authentic shapes, floral decorations and many details. Free vector graphics that are perfect for illustrations of antique interiors, windows, fences, doors, furniture and works of art. Swirling metal frames to use in banners and greeting cards. Tags: Antique, Decorations, Decorative, Floral, Metal, Swirls, Vintage.